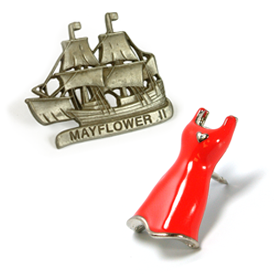 Add another dimension to your typical pin with our jewelry quality cast lapel pins. Exquisite 3-D detail is possible with or without enamel color added. 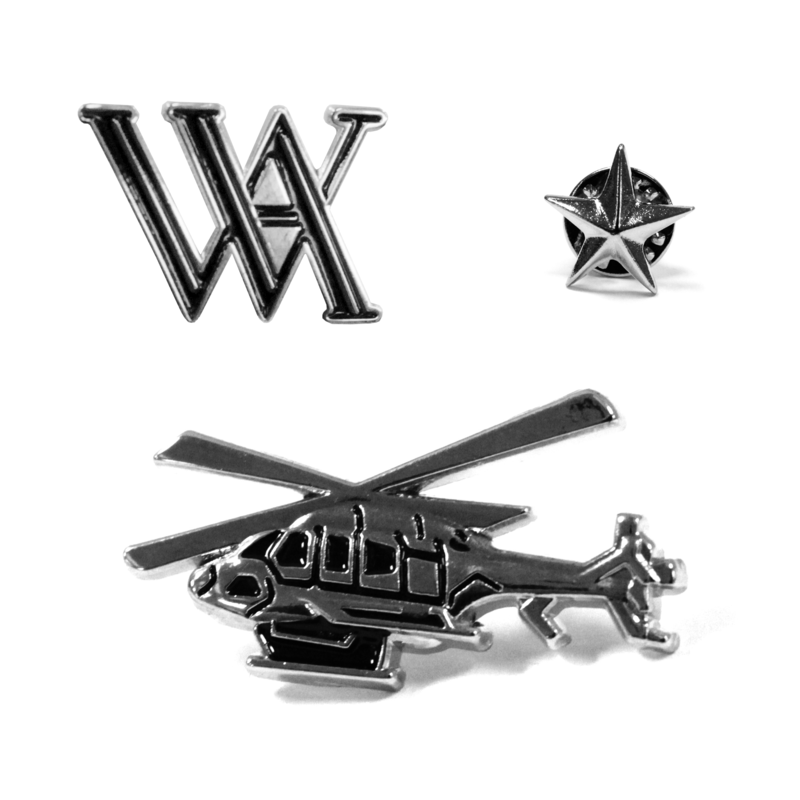 2-D Lapel pin with multi-level relief. Brass, nickel, black nickel or copper plating. 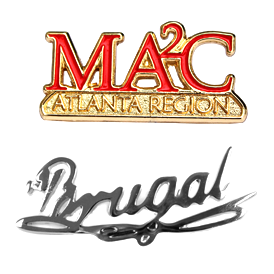 Add .20 (A) for antique brass or copper plating and .30 (A) for antique gold or silver plating. For soft enamel color add .16 (A) per color. For ultra quality hand polishing add .64 (A). Please call for information regarding 3-D (rounded relief) pricing. For custom printed cards and boxes please see the packaging options section. Please send black and white line art. For 3-D designs, send artwork or photos with front, side and back views. A 100.00 (G) sample charge will be refunded if order is placed. Design changes will incur an additional charge. Overnight shipping charges may apply. Pre-payment may be required. Adds 10 days to 2 weeks to delivery. 5 weeks after approval of artwork or pre-production sample. Shipping weight approx. 15 lbs. per 1,000 1" pins.